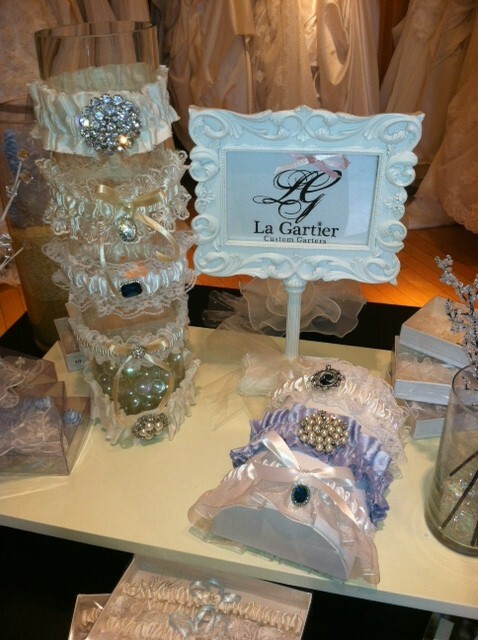 LA GARTIER GARTERS HAVE ARRIVED AT BLUE!! Come and check out these beautiful handmade garters! They are carefully designed and hand crafted by Sarah Dobson out of Atlanta, Georgia. If you are looking for something elegant and unique these garters are perfect for your special day! These garters can be purchased off the rack or we can create an order. You may even want to incorporate your own personal touch; whether it’s a keepsake you have to add or a specific design, Sarah can customize a garter just for you! Stop on by today to check out these one-of -a-kind garters!